Product #55628 | SKU U90W-01 | 0.0 (no ratings yet) Thanks for your rating! ASUS 90W Universal Square adaptors keep you going where and when you need it. An additional power adaptor for your notebook means you’re always prepared and charged, whether at home, the office, or on the road. It also means less weight to lug around. 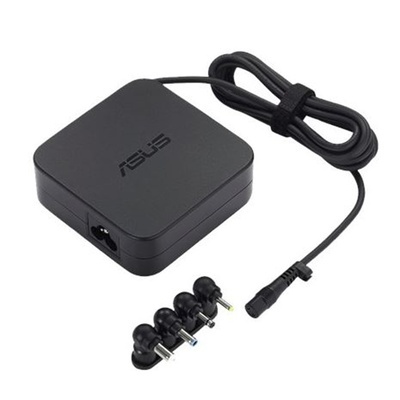 The 90W Universal Square adaptor comes with four different connector tip sizes; you could even lend it to friends and colleagues who use different ASUS notebooks and Ultrabooks. Dimensions 3.46 x 3.46 x 1.2"